RC Cola International helps to bring the great taste of RC Cola to over 65 countries around the world. 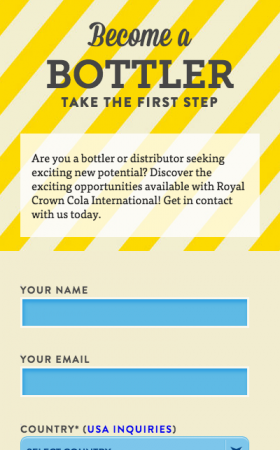 As a division of Cott Beverages Inc., RC Cola International (RCCI) has the ability to work with individual bottlers in various countries to produce, market and distribute their beverages. 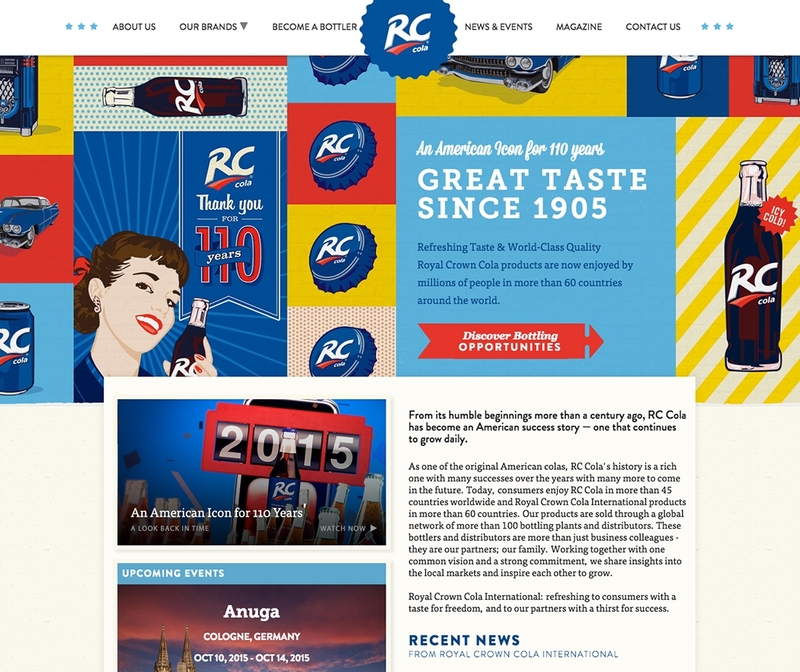 In 2014, RC Cola International approached Adpearance to help revamp its web presence. Along with the website redesign, RCCI began a small paid search campaign to ensure that the most interested parties, those searching for bottler/distributor related terms, were able to easily find the site. 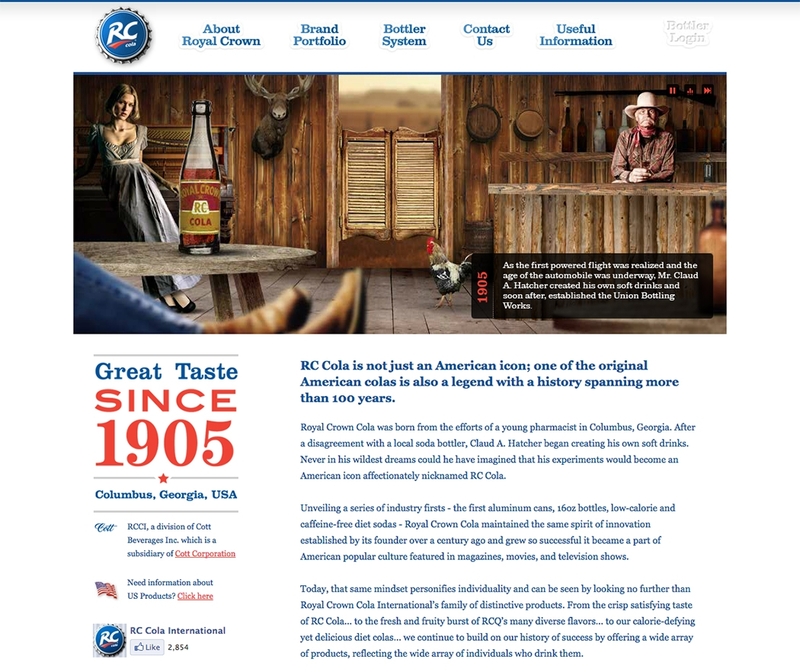 During the first year post launch, there was a significant increase in lead generation and organic growth on the site and that helped lead RC Cola International to request the help of Adpearance with direct marketing and community outreach so they may continue speaking to, capturing, and converting RCCI’s core audience. In June 2015, Adpearance began social media management on LinkedIn for RC Cola International. Within the first 6 months, their followers have increased by 220% and the traffic to the website via LinkedIn has increased more than 2,000% resulting in continued lead generation and increased following that brought users to the site multiple times. Currently, Adpearance is working with RC Cola International to help increase brand awareness by increasing their social presence and engagement with users. When RC Cola Internationl approached Adpearance in 2014, their website at that time was not effectively speaking to its target audience. An overwhelming majority of site visits were American RC brand enthusiasts—not internatinal bottlers and distributors. Furthermore, the site relied heavily on Flash and was performing poorly in mobile markets. From a usability and conversion optimization standpoint, the website needed improvements, starting with a vibrant new look. 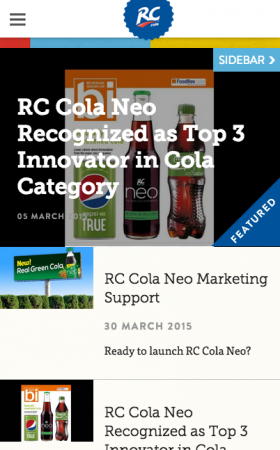 In addition to RC Cola, RCCI features 8 other beverage brands on their site. 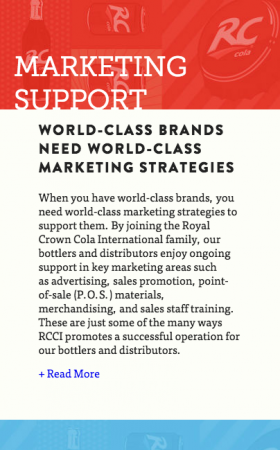 RC Cola International keeps worldwide distributors informed about product updates, new markets, and helpful resources. 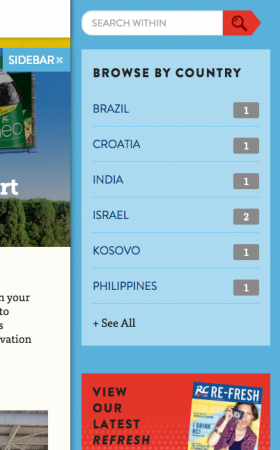 RCCI distributors can explore relevant updates by filtering via country. 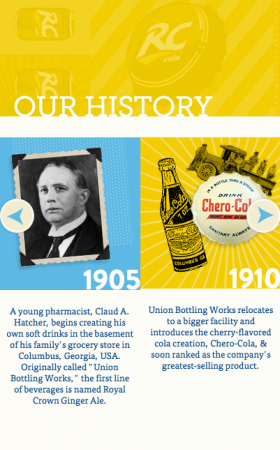 RC Cola's history spans over 100 years. B2B doesn't need to be blasé. Our vibrant, engaging designs extended to lead capture opportunities from international distributors. Benefits of working with RCCI were available in mobile-friendly, readable format rather than large PDF downloads. Not only did the new website for RCCI get a fresh new look, but we built a responsive site and removed the need to rely on Flash assets. Like what we did for RC Cola International?